It’s raining again this morning and, it seems, winter is soon upon us. Sadly, I should be out there in the rain, belatedly finishing my new woodshed project. But, as Mrs. Tuttle and I now embark on Year 11 of our overly-ambitious “Five Year Plan”, I’m reminded of Wayne Gretzky’s famous statement, “A good hockey player plays where the puck is. A great hockey player plays where the puck is going to be.” At the moment, it seems that the puck is out there in the rain. One of the first times this lesson made itself known to me was well past mid-stream in a major boat-remodeling project, when I realized that all of the money and effort expended-to-date was, in all likelihood, for naught. I was no longer the person who needed the finished product. Alas. I could take pride in a “job well done”, but someone else would eat the fruits of my labor. Some good part of this lesson can be put down to the single-most common error of our youth: With time stretched out before us, seemingly so limitless, we’ve no concept of (or, often, much interest in) who we might yet become in the world in which we so easily imagine that we should live. But, then, life is a moving target; the trajectory of our lives, uncertain. And, what is true in ourselves seems, often enough, to be true in the world around us. Last night, for instance, I was challenged (by Ragazzo-the-Elder) to consider the superior merits of our nation’s original Articles of Confederation in contrast to the, now well-eroded, later “compromise” we know of as The Constitution. This later (and by no means unanamously accepted) “compromise” ultimately conceded significant powers to the central, Federal, government, ostensibly in order to ensure survival of the confederation. Today, it also seems rather clear (with the benefit of 20-20 hindsight, at least) that we’ve allowed many, if not most, of the cherished foundations of our nation slip away over the passing years. And, to be sure, some significant share of that loss has come as a result of the mistaken trust that was placed in that central government. Today, the most “progressive” (and, ironically enough, often the youngest) among us continue to insist on furthering the distance we’ve travelled down that road, granting ever more power to that same government. Some of us remain, however, rather firmly, if sentimentally, attached to those earlier – youthful – ideals, however “impractical” they might seem. Amen, brother. And, here, I’m once again reminded of Martin Luther’s observation that, “For where God built a church, there the Devil would also build a chapel.” In our youthful exuberance and, perhaps just as often, out of expediente haste, we often can’t tell the two apart. So, were our Founders deceived? Did they, in the end, take a wrong turn on the road toward protecting our liberty? Did the advancing years reveal their naivete? Would the Devil, in the end, corrupt their efforts? Are their ideals worthy or, even relevant today? Can I answer, “yes to all of the above”? Here, then, my take on the paradox of youth: The fresh idealism of our youth, however appropriately inspired, is all too easily corrupted and, sadly, often too rash and inexperienced to perceive the nature of the challenges ahead. Sometimes, all we can see is where the puck is, not where it’s going to be. Sadly, youth might well speak loudly and earnestly about the nature of the beast, but it’s unlikely to know him well enough to ever see him in the mirror. 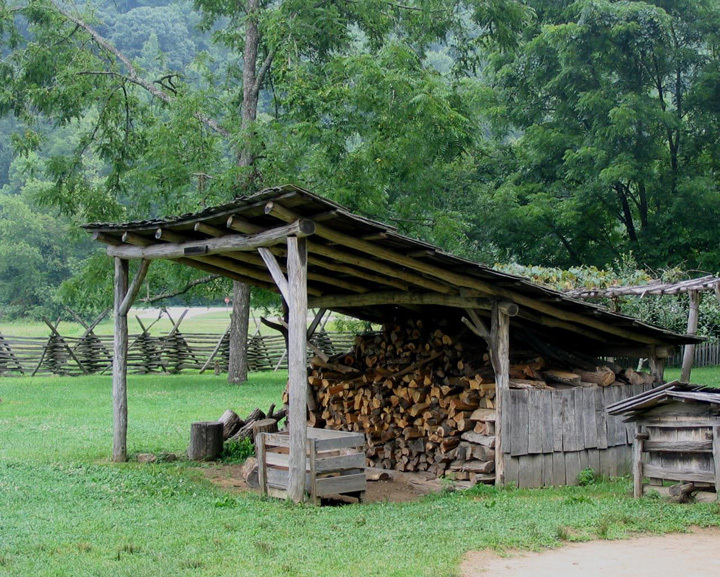 Lest that thought discourage idealism, we might remember that we need woodsheds, too. (I know I do, at least.) I might also suggest that (at least some) of our Founders knew and planned for that right from the start. Today, with the wisdom of age, we might realize that the woodshed needed right now is one in which we choose to return to the basic principles necessary to our survival and, one might hope, correct the more impulsive errors of our youth. The woodshed’s always been good for that too. This entry was posted in From: Harry's Woodshed, Harry Tuttle, Simplicity / Country Life. Bookmark the permalink.